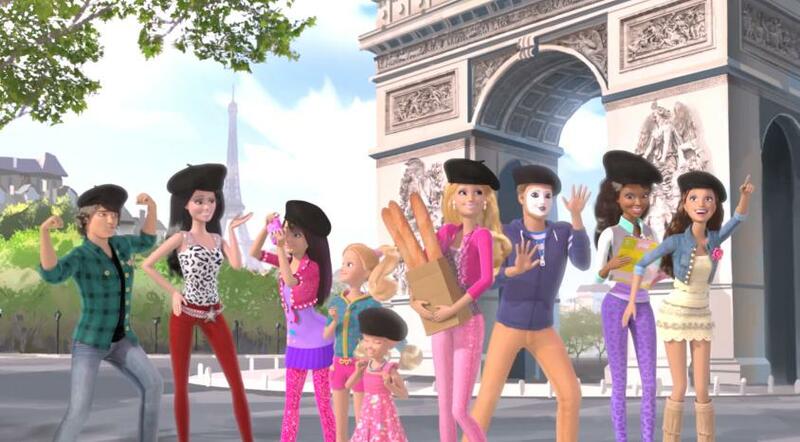 To Paris. . Wallpaper and background images in the Barbie: Life in the Dreamhouse club tagged: barbie life in the dreamhouse to paris. This Barbie: Life in the Dreamhouse photo contains bearskin, busby, shako میں, بیرسکِن, بوزبی, and شاکو. There might also be bandsman and بندسمان. In this pic I love Skipper and Teresa!! !